Pvt. Drue C. Wilson, son of Mrs. H. A. Scheller, attended Frederick Schools. 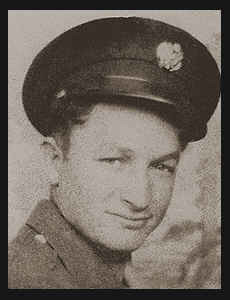 Entered Army in 1944, trained in Camp Adair, Ore., and Ft. Leonard Wood, Mo. ; served in England, France, Luxembourg, and Germany; was wounded in action in Feb., 1945; is now on duty in Ft. Sam Houston, Texas. Awarded the Purple Heart, Good Conduct Medal, ETO Ribbon with one Battle Star. (As per original 1940's publication).